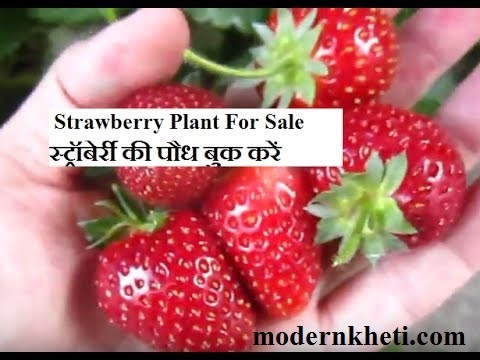 भिन्डी की खेती कैसे करें ? 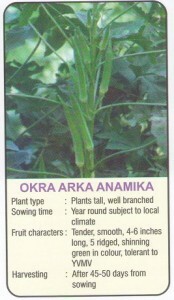 Plant Type :- Plants Tall, Well Branched . Sowing Time :- Year round subject to local climate . 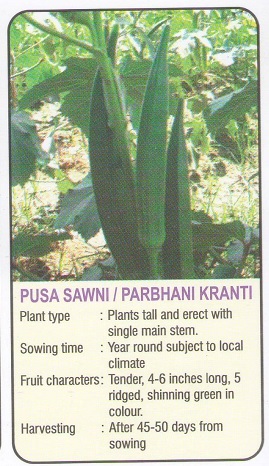 Harvesting :- After 45 to 50 days from sowing . 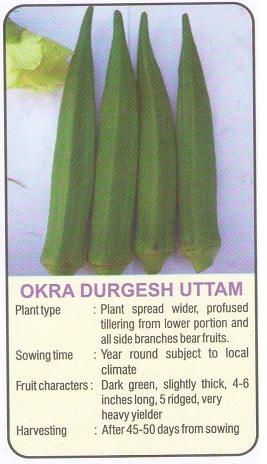 Plant Type :- Spread wider,profused tillering,from lower portion ,all side branches bear fruit . Plant Type :- Plants dwarf,profused tillering,from lower portion ,all side branches bear fruit . Harvesting :- After 50 days from sowing . 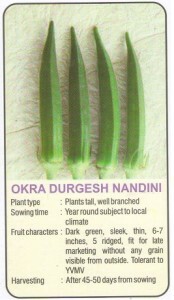 Fruit Characters:- Dark green,sleek,thin 4-6 inches long, tender upto 7-8 inches ,5 ridged ,tolerant to YVMV. 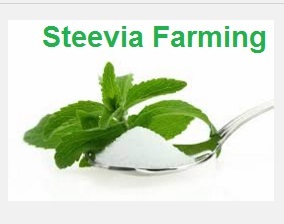 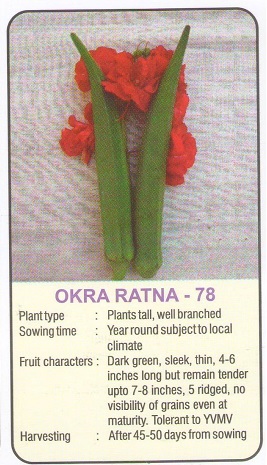 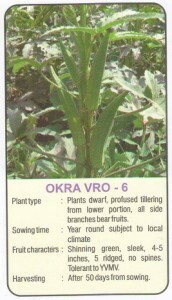 Plant Type :- Plants Tall,errect with single stem. Fruit Characters:- Tender 4-6 inches long, shinning with green colour. Fruit Characters:- Extra Dark green,sleek,thin 4-6 inches long, tender upto 7-8 inches ,5 ridged ,good for grain,tolerant to Mosaic Virus ,heavy yield .